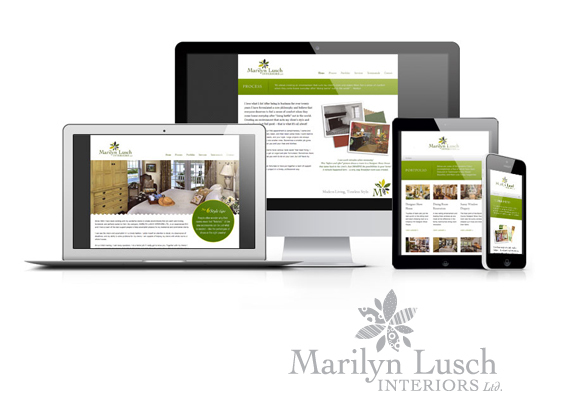 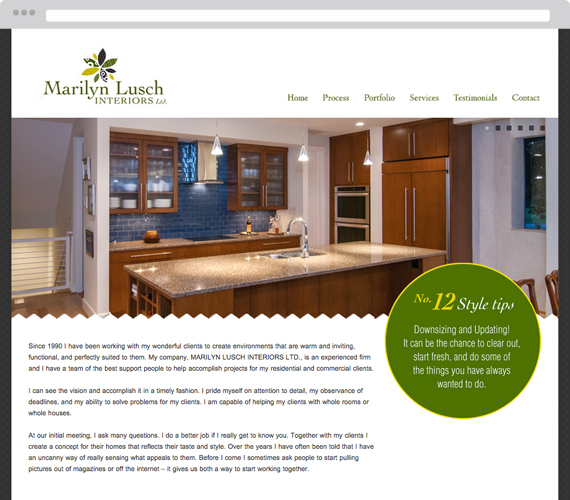 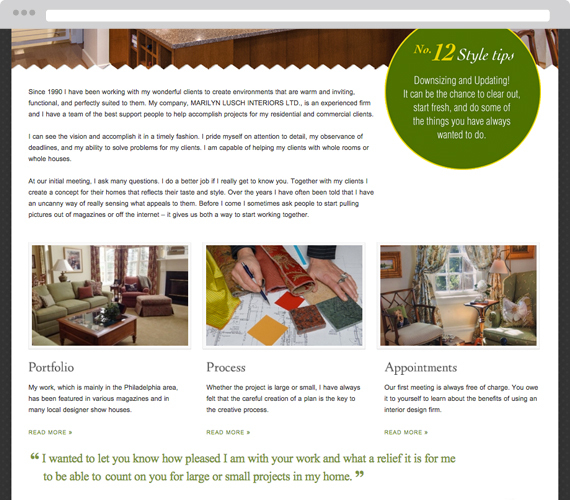 Marilyn Lusch has been an interior decorator in the Philadelphia suburban area for many years. 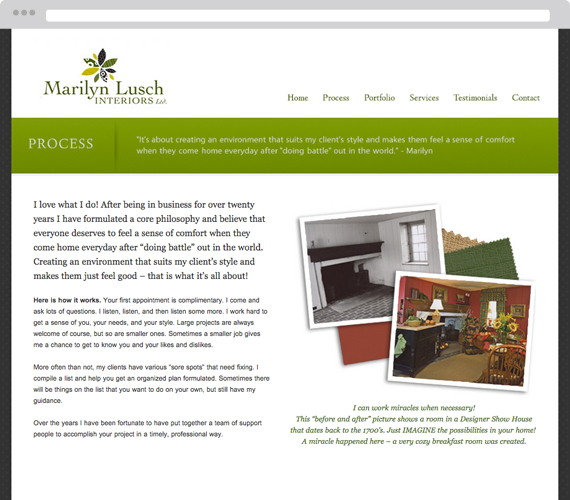 Her goal is to make a home comfortable – a place one feels at ease and loves coming home to. 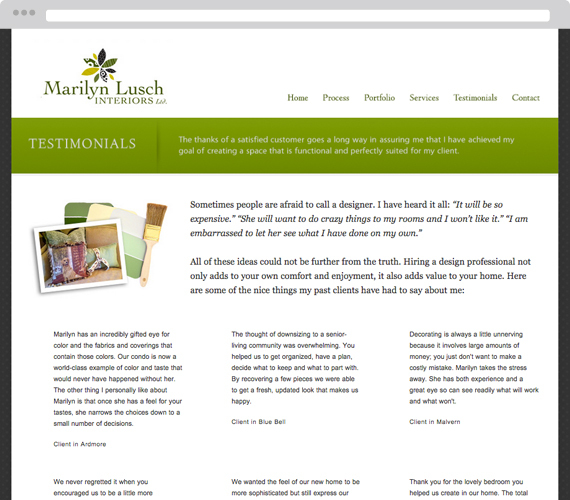 The logo identity and website showcase her style and vision.